Take advantage of its proximity to downtown and its connectedness to the rest of the community. 1) Honor the architectural and historic integrity of Prospect Hill. 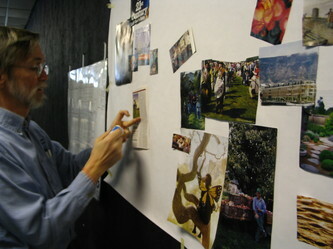 2) Cultivate an artistic and cultural community within the neighborhood. 3) Foster the development of businesses that serve the neighborhood. b. 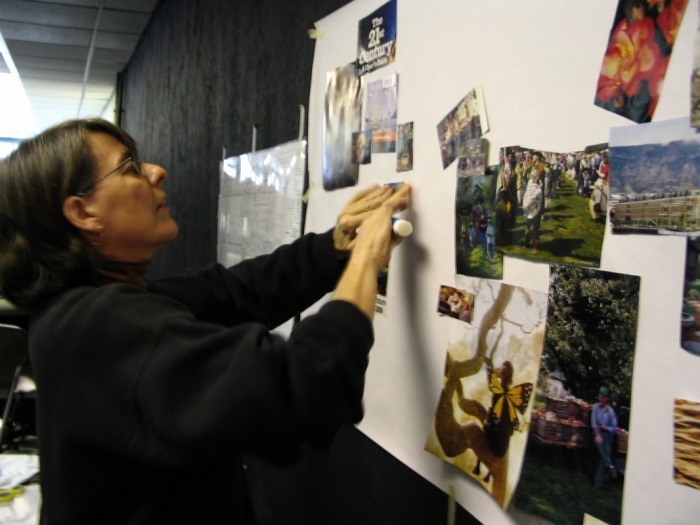 Improve collaboration between the convention Center and the neighborhood. c. Support and channel small business opportunities to both the Kirkwood Ave and Rogers Street corridors. 4) Manifest the urban neighborhood form and sense of community present in Prospect Hill. a. Sustain a desired valance between rental and owner-occupied housing. b. Improve public spaces to enhance the traditional character of the neighborhood. c. Establish neighborhood advocacy by creating solid partnerships, using both available community resources and open lines of communications. 5) Respect the natural environment within the urban neighborhood. a. Initiate stream corridor restoration for the West Branch of Clear Creek and the Kirkwood Canal. b. Preserve and nurture green space and increase the awareness of the significant natural elements found within the neighborhood. 6) Foster connectivity between the neighborhood and the greater Bloomington community. a. Increase neighborhood alternative transportation and pedestrian safety options. b. Establish a neighborhood commitment to alleys as public spaces for use as pedestrian paths. 7) Support excellence in public and private institutions that serve the neighborhood. a. Commit to the constructive future of Fairview Elementary School by increasing both educational and recreational opportunities for area youth. b. Continue to utilize and enhance both Rose Hill Cemetery and Building Trades Park to their full potential as community recreation resources. 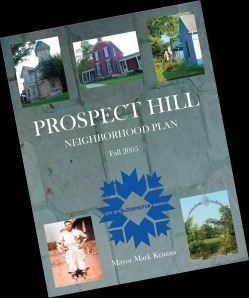 Download the entire Prospect Hill Neighborhood Plan here.